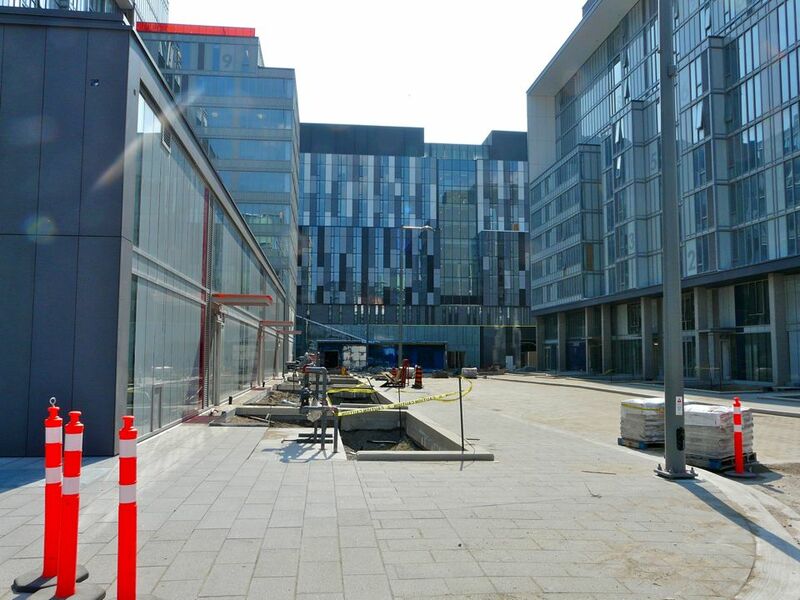 A version of this post appeared in the September 10th edition of UrbanToronto. 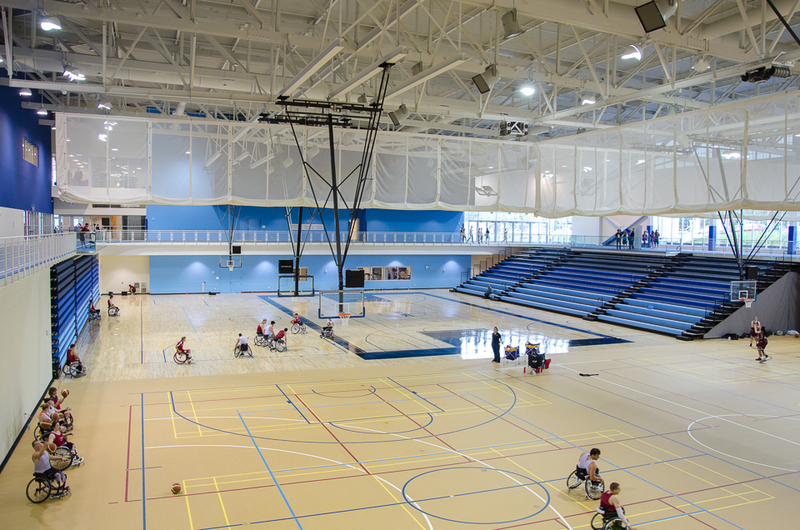 The Toronto Pan Am Sports Centre (TPASC) located at the University of Toronto Scarborough campus began operating this week. 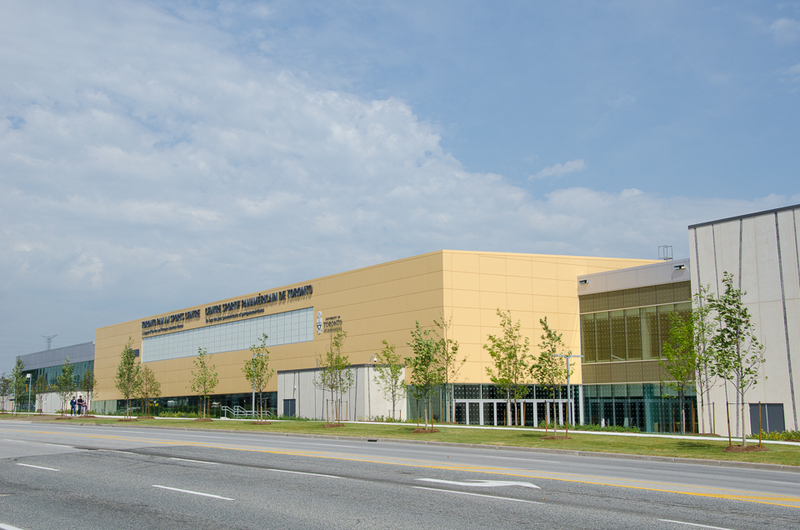 Under the official name “CIBC Pan Am/Parapan Aquatics Centre and Field House,” the venue is the largest sport new-build for the 2015 Pan American/Parapan American Games set to take place in July. The Toronto Pan Am Sports Centre. Photo by Stephanie Calvet. 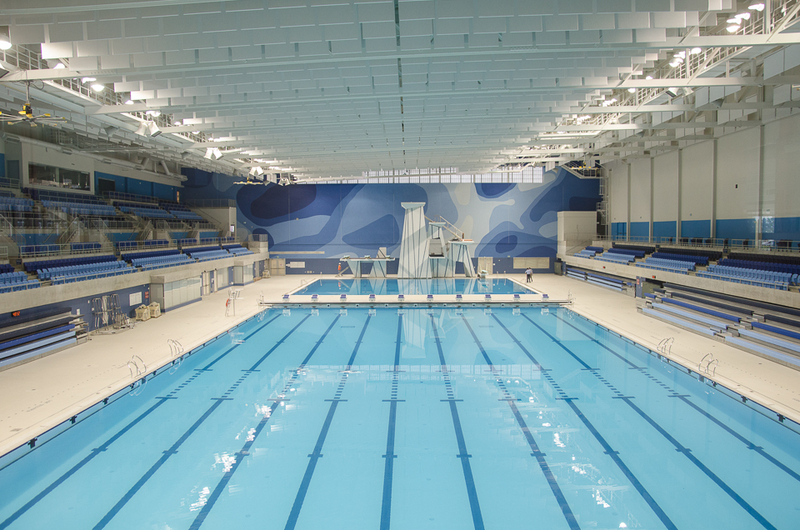 Competition pool at the Toronto Pan Am Sports Centre. Photo by Stephanie Calvet. 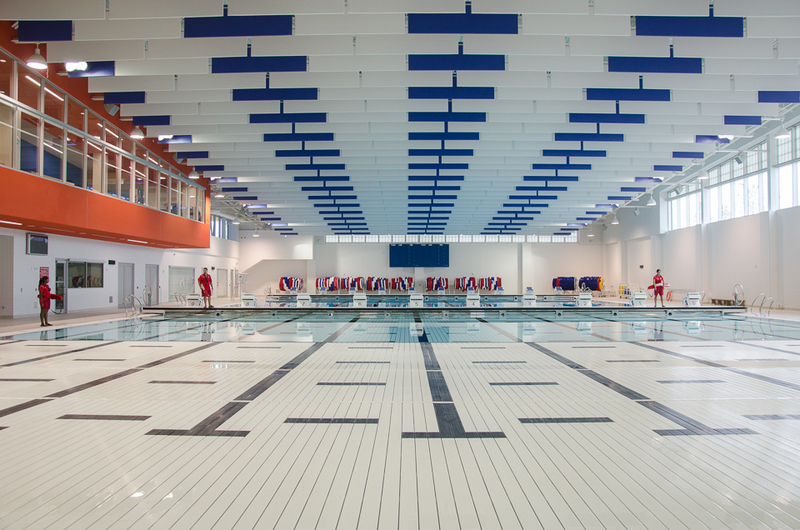 Training pool at the Toronto Pan Am Sports Centre. Photo by Stephanie Calvet. One of multiple gymnasia in the Toronto Pan Am Sports Centre. Permanent retractable and temporary seating line the walls. Photo by Stephanie Calvet. 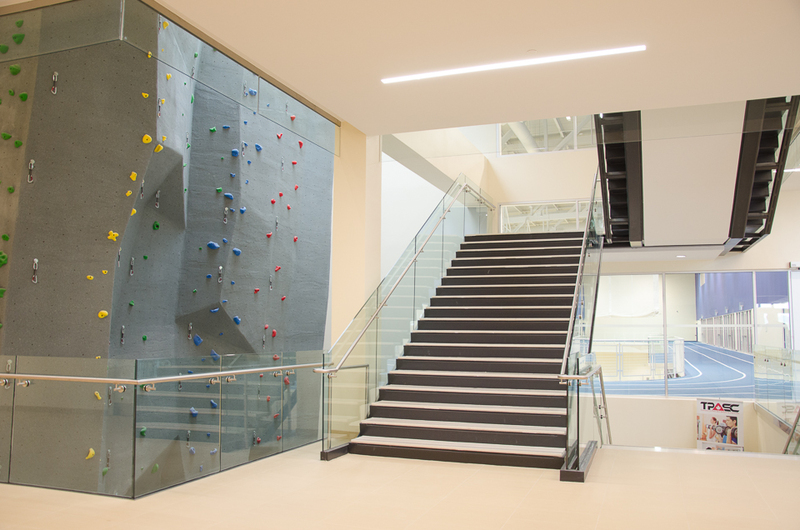 Climbing wall at the Toronto Pan Am Sports Centre. Photo by Stephanie Calvet. 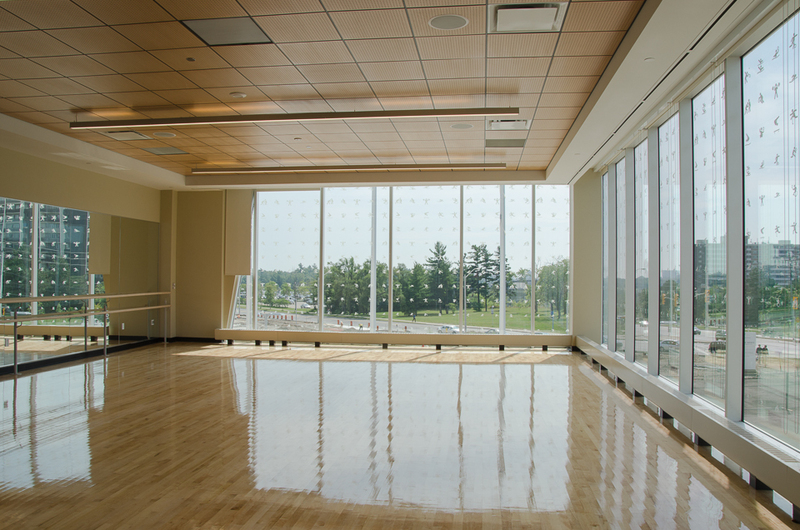 Corner multipurpose studio for community dance classes, combative sports, ballet, and yoga at the Toronto Pan Am Sports Centre. Photo by Stephanie Calvet. 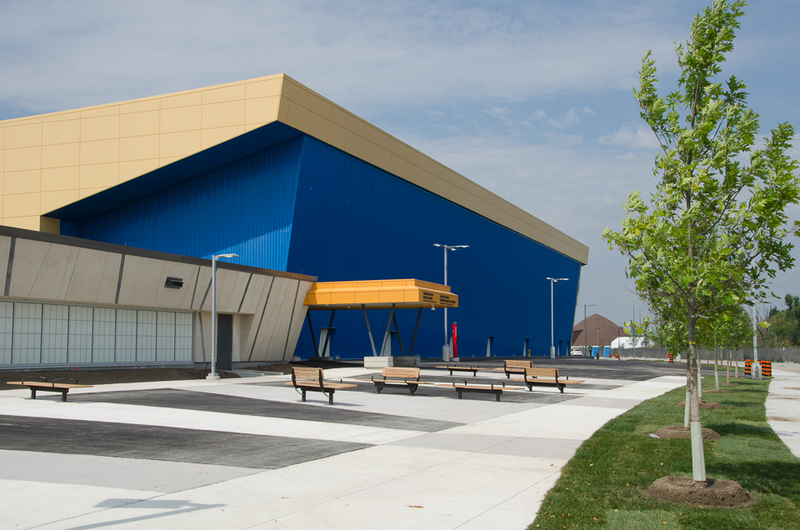 After the Games, the temporary (blue) exterior wall will be removed and replaced and the area will become covered drop-off. Photo by Stephanie Calvet. A takeaway from past Olympic Games’ host cities that spent big in a short burst of activity for the temporary event is a prescient reminder of the potential that well integrated planning for long-term transit and urban regeneration can bring. Toronto now has that same rare opportunity: the city is hosting the 2015 Pan Am/Parapan Am Olympics next summer. 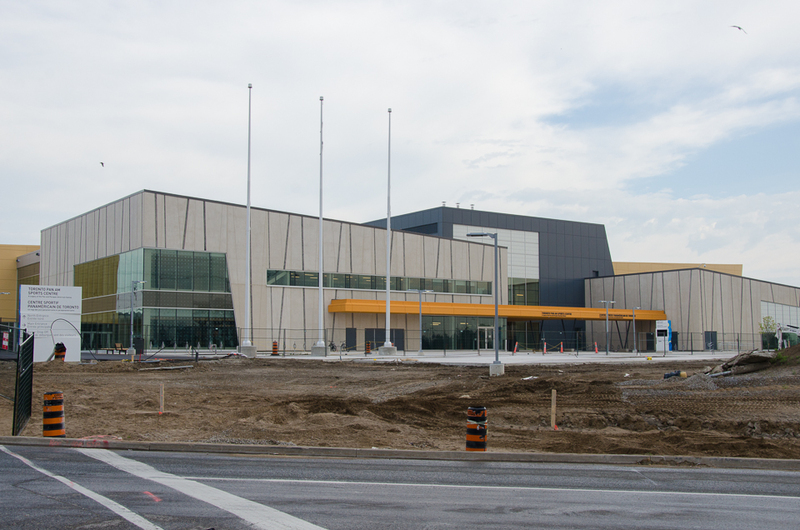 While it is relying on mainly existing infrastructure throughout southern Ontario for the sporting venues, an entirely new development is being built just east of downtown to house the 10,000 athletes and officials. 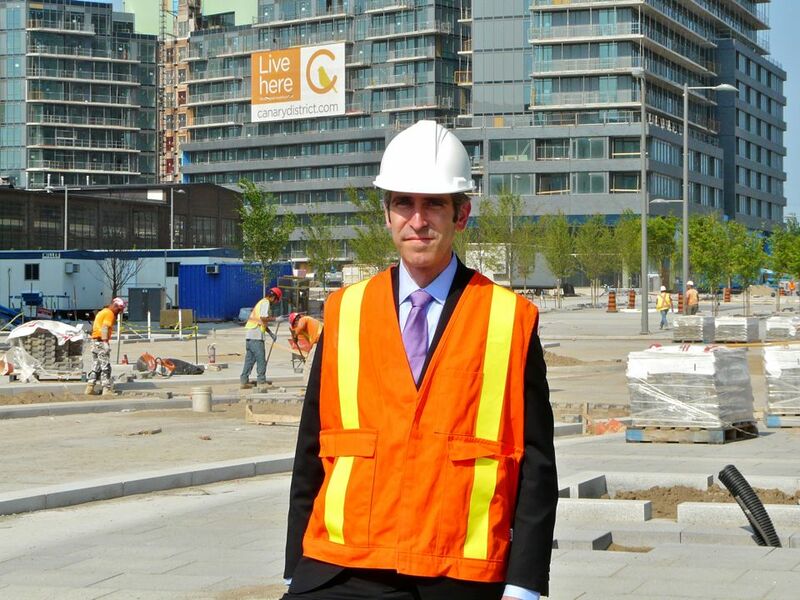 I recently met with Kenneth Tanenbaum, Vice Chairman of the Kilmer Group to discuss the Athletes’ Village. 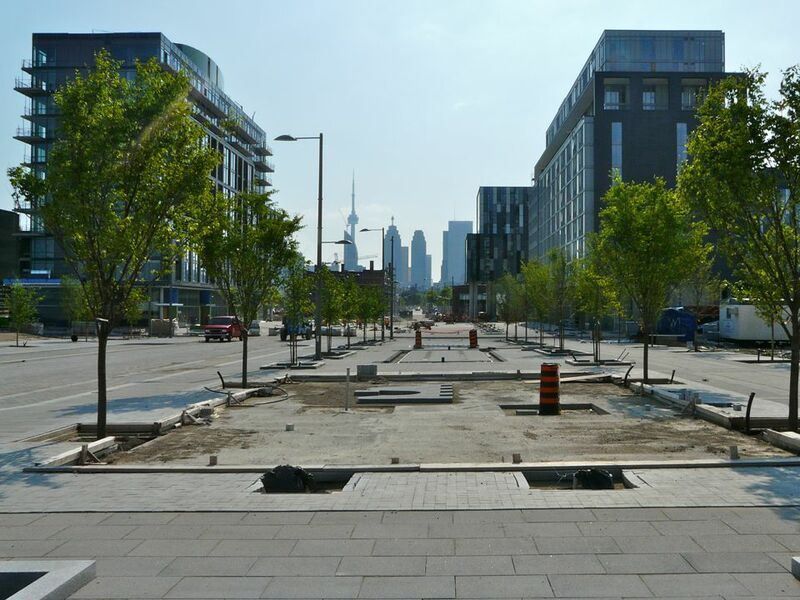 Revitalization plans will transform the former industrial site into a mixed-use community with affordable housing, condominiums, a YMCA and a dormitory for George Brown College students, branded post-Games as ‘Canary District’. 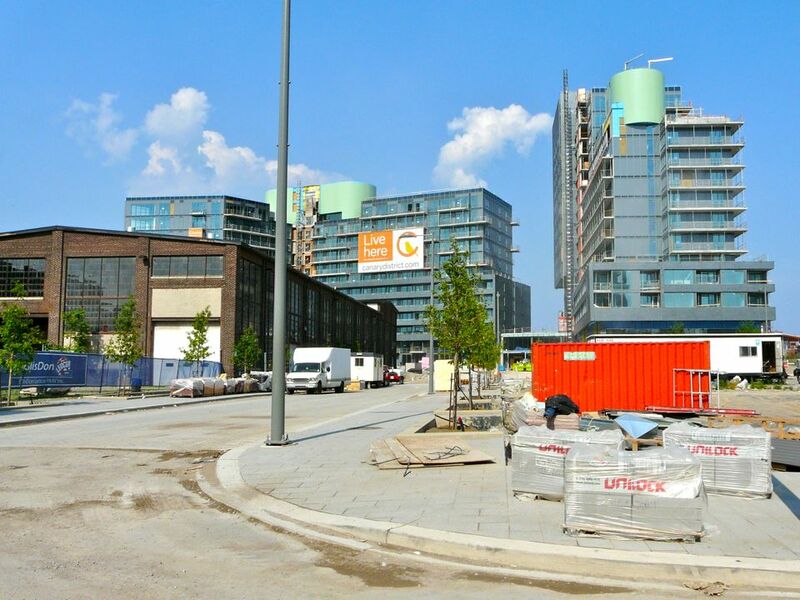 Tell us how it is that Toronto is about to get a new Athletes’ Village and then a new neighbourhood in this former industrial area at the mouth of the Don River. Looking east from Canary District, Foundry building to the left. Existing brick buildings at gateway to the site to be restored. Image courtesy of architectsAlliance. Rendering of Athletes’ Village/Canary District. Image courtesy of architectsAlliance. There are no physical barriers to here (e.g. river, expressway) from Downtown. It should become a natural extension of Downtown with a narrative that is very connected to the Don River and Martin Goodman trails. People talk about what makes for a great neighbourhood and I think it’s about diversity of interests, cultures, and economics. And it’s what makes a city great, it’s natural diversity, it’s the ability to transform, invent, and change. The unique challenge here was to deliver an entire neighbourhood and have it feel like a neighbourhood. A lot of thought went into the design, the programming, the unit mix in buildings (1, 2, and 3 bedroom suites), the type of retail and how it’s programmed to have a health and wellness theme that’s complimentary to the Distillery’s retail programming.